Senator Ita Enang’s spirited claim at the National Assembly Wednesday to the effect that 83% of the country’s oil block is in the hands of northerners appears to be inspired from assertions contained in an old article by a newspaper commentator, Mr. Ross Alabo-George whose famous essay was titled Poverty And Deprivation: Why The North Is Poor. In the excerpted refutation below, Toyin Akinosho, a petroleum geologist with over two decades of work at Chevron and now publisher of the well-regarded Africa Oil and Gas Report, argues angrily that such lines of thought canvassed by the likes of Senator Ita Solomon Enang and indeed Mr. Ross Alabo-George are merely hysterical, and tendentious, designed to mislead the public. Mr. Akinosho characterizes the arguments as crappy and crummy. It is excerpted from the African Oil+Gas Report for the value it brings to the current debate about Nigeria’s oil resources and the National Question. Alabo-George’s article plays up so well the sentiments that a good number of Nigerians, especially middle class types excluded from the spoils of the petroleum subsidy, and allied deliverables, nurse about the kind of leadership we have suffered since independence. But it has gone around so far and keeps being forwarded so rampantly, largely because it plays to the ethnic schism; the suspicions that each of us harbours, in our different silos, about “the other”. It’s largely a response to the disingenuous claim by Sanusi Lamido Sanusi, the Central Bank Governor, that the Boko Haram insurgency is a response to the 13% derivation allocated to the oil producing states from the federation account. “There is clearly a direct link between the very uneven nature of distribution of resources and the rising level of violence”, Sanusi told The Financial Times of London. Alabo-George’s piece is compelling when he contrasts what non oil-producing Southern states have been able to do with their supposedly meager allowances with what their Northern counterparts have done with their own allocations. “Ekiti State has about the same revenue as Yobe and Gombe”, he contends, “but only 17 students passed WAEC and NECO in Gombe state last year, while Ekiti State is known for its high literacy level”. I find two beautiful quotable quotes in the article: (1) “Borno State has a bigger budget than that of Cross River, a Niger Delta State. While the leaders of Cross River over the last decade have transformed it into the nation’s leading tourist destination, those of Borno have transformed it into a Somalia”. (2) “Gombe State has a bigger budget than Enugu and Anambra, why has MASSOB not bombed anyone”? But once Alabo- George ventures beyond the political economic analysis and starts to list who owns what oil and gas assets, his article is a litany of inaccuracies and lies. He gets it totally wrong. He writes about the estate of the late Mai Deribe, the Bornu State born businessman, supposedly owning a huge oil field; Rilwanu Lukman having controlling shares in Afren; Atiku Abubakar being the stupendously rich beneficiary of the profits of Intels, the logistics company; Aminu Dantata’s Express Petroleum. He ties Amni Petroleum to only Sani Bello. Oil acreage ownership in Nigeria does not have ethnic colouration. What’s more important, sustaining production from oil and gas assets, whether or not awarded by the state, is determined by how much of a businessman you are. When Jibril Aminu handed out oil prospecting blocks, in the first comprehensive effort “to encourage indigenous participation” in 1991, he gave blocks to companies owned by Folawiyo, Abiola, Adenuga, Udoji, Ibru, Igbinedion,(all Southerners) as much as he gave to enterprises set up by people like Saleh Jumbo and Mai Deribe. Between 1991 and 1993, we suddenly had over 25 companies, that were Nigerian E&P companies and they took themselves so seriously that they set up an association they christened “Nigerian Association of Indigenous Petroleum Exploration Companies”. But what did these people do with the acreages? They were mostly clueless about how to progress things. Out of that class of awardees, only Mike Adenuga created what you could really call an E&P company. He is the only one producing oil today, from his own block. It’s bad enough that Nigerian indigenous private acreage holders don’t produce, as a collective, up to 150,000 Barrels per day, or 7% of the national daily production, so why are we fighting ourselves? And I am less keen on how much you’re getting as rent from the asset you are holding, than the capacity you are building as manager of a Nigerian oil company who is awarded the asset, in trust for the rest of us. I am for an ongoing, earnest debate on the National Question. But false information misleads all of us into false conclusions, which reduce the complexity of the solutions we ought to be proffering. The author cites a number of hydrocarbon acreages belonging to Northern elites, but ignores the fact that holding an acreage is one thing; getting value out of it is another. That so many people believe the poorly researched article, and so instantly forward it that it becomes one of the most travelled essays on the National Question, is testimony to poor knowledge of how the oil industry works. The first field the author mentions is Obe field, which, he rightly claims, is held by Cavendish Petroleum, a company set up by Alhaji Mai Deribe. Alabo- George lied by saying that the Obe field, the main hydrocarbon pool in OML 110, contains 500Million barrels of oil reserves. The Obe field does not have a proven 20 Million barrels. I am not sure it has 10Million barrels. It is not producing as I write. The Obe field has not produced for five years, since 2007, when Tranfigura, the last technical partner engaged by Cavendish, walked out. I don’t know what discipline Mr Alabo-George belongs to, but this point I am about to make is well known to every junior petroleum geologist with three year experience in the crummiest E&P company: If a field holds 500Million barrels of oil, proven, in shallow water Nigeria, it won’t lie fallow. Investors would rush it. In countries where you don’t have the complications that the NNPC brings to the table here, fields that haven’t proven much more than 500Million barrels are “rushed” through to development. Ghana’s Jubilee field didn’t prove a billion barrels before the country’s authorities approved a field development plan. Apart from Nigeria, Angola, Libya, Algeria, Ghana (now, since 2008) and perhaps Equatorial Guinea, no African country has a billion barrels in proven reserves. 500 Million barrels is half of that. Mr Alabo-George says that Obe has the capacity to produce about 120,000 barrels of crude oil daily from its OBE 4 and OBE 5 wells. What sort of numeracy is this? Or is he dreaming these figures? How can a field with less than twenty million barrels “have the capacity” to produce 120,000 barrels per day?. What’s capacity? Alabo George’s second example of a wealthy northerner swimming in oil money is Mohammed Indimi, “a Fulani and close friend of General Ibrahim Babangida”. He says “Oriental Energy Resources Limited runs three oil blocks: OML 115, the Okwok field and the Ebok field. OML 115 and Okwok are OML PSC, while Ebok is an OML JV. All of them good yielding offshore oil blocks”. The author just doesn’t care to verify his claims. True, Indimi’s Oriental Resources holds the three assets. OML 115 is not producing as I write. No one has certified that there’s a producible field in the acreage. Ebok is being produced, on Oriental Resources’ behalf, by Afren, a UK listed company. Last year, the field delivered an average of 8,000Barrels of Oil per Day(BOPD), according to Afren’s website. You can google it. Okwok, as I write, is still in development. Translation: it has produced nary a drop of oil. Aminu Dantata’s Express Petroleum holds the Oil Mining Lease 108, with technical partners Shebah Petroleum, which bought out Conoco, the original technical partners. Fine. The Ukpokiti field, the main asset on the acreage, produced for quite a while; and should have made the Dantatas quite rich, over a period of more than seven years. The field died out at some point and is being revived as I write. “NorthEast Petroleum is owned by another Fulani businessman from the North East, Alhaji Saleh Mohammed Jambo”, Alabo-George testifies. “The license was awarded to him by General Ibrahim Badamosi Babangida”. Another truth: North East Petroleum has NEVER produced a single drop of oil since that award in the early 90s. There, simply, hasn’t been a discovery worth the while for operator TOTAL. I agree that Theophilus Danjuma, also a Northerner, is entitled to contest for the award of the man who made the most fortune, at a sitting, on an oil acreage in Nigeria. Alabo-George’s article, in his rush to conclusions, even understates the significance, by claiming that Danjuma’s company, South Atlantic Petroleum Limited(SAPETRO), made $1Billion from the deal. The truth is that China National Overseas Offshore Company(CNOOC ), signed a definitive agreement with SAPETRO to acquire a 45% working interest in OML 130 for $2.268 billion cash. I don’t know how much the broker of the deal took, but I am yet to confirm if the Nigerian government earned any withholding tax from that transaction. In spite of what he has earned “upfront”, Danjuma’s SAPETRO gets 25,600Barrels of Oil per day for its 15% of OML 130 from the Akpo field, which is delivering 175,000BOPD. But if you complain about Northerner Danjuma, what about the Alakijas, a Yoruba couple whose company, Famfa Oil, is “entitled”, every day, to 25,000BOPD from Chevron operated Agbami Field, located in deepwater OML 127?. These two companies are two of the four largest producing Nigerian companies today. 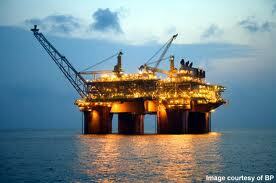 The other two are Adenuga’s Conoil(25,000BOPD) and Seplat Petroleum(37,000BOPD, operated, 16,000BOPD, equity). Only one of those four companies is Northern owned. And it is outright falsehood that “ 80 per cent of crude oil and gas produced by indigenous companies is controlled by the North-East”. But, as I said again: which technical and managerial capacity are we building on the back of the rent collected from these leases. It’s the real job. The last example I’d touch, before the concluding commentary, for space purposes, is the case of Rilwan Lukman, who Alabo-Gorge cites as having controlling shares in Afren, the UK listed company. Lukman was there on the ground floor of the construction of Afren, around 2004, no doubt, but the key founders of Afren are Ethelbert Cooper, the Liberian businessman and Osman Shahenshah, who is the current Chief Executive. What people like Lukman and Egbert Imomoh, the other Nigerian on the company’s board in the founding days, did, is the kind of thing I urge Nigerians in their positions to do. Use your knowledge to access and create value, not to grab and destroy value. Cooper and Shanenshah knew that Lukman(then out of office both from OPEC and as Nigerian special adviser), and Imomoh(then recently retired as Deputy Managing Director Of Shell Nigeria) knew the Nigerian oil industry deeply and could access oil and gas fields that were lying fallow. Shanenshah, coming from a financial services background, knew how to raise funds: the most important thing in oilfield exploration and development. Indeed the first piece of news by which most people knew of the existence of Afren was that the IMF had agreed to give a 5Million dollar loan to this company, which was only just about starting. It pays to have Lukman on your board. Yet, in spite of Lukman’s influence in the Nigerian polity, Afren had never accessed Nigerian acreages via government awards. Afren, cash in hand, running a technically proficient company, approaches Nigerian indigenous owners of assets-like Ndimi’s Oriental Resources, Amni and several marginal field holders, and signs agreements with them to be technical partners. After Afren has recovered its investment via cost oil, Afren and the company continue to share the proceeds from the field 50:50 for the life of the field. Afren uses Nigerian technical capacity to a large degree and it trains a lot of people. But it can do more. Afren has never benefitted from bid round or government-sanctioned discretionary awards, so why would anyone link Lukman’s involvement in Afren in a list that has a number of Northerners supposedly benefitting from government largesse? That is part of the trouble I have with Alabo-George’s essay. I wouldn’t compare Lukman’s relationship with Afren to the benefits that Atiku Abubakar derives from being a part owner of Intels, the logistics company which takes advantage of the free trade zone in Onne, near Port Harcourt. This particular example helps us to locate “the Nigerian tendency”, beyond “the Northern tendency”, in this discussion. Because, really, we are just all the same. A foreign company comes to Nigeria to set up for business. Because of the difficulties we invent as barriers to entry, this company requires the services of some big Nigerian men, preferably those who have worked for government, for access. What Atiku Abubakar has done with Intels has parallels in other sectors of the economy and is comparable with what Yoruba chieftains, Ijaw leaders, Igbo High Chiefs, Idoma overlords, etc, etc, have done with many other companies operating here. That’s how people became key shareholders of companies like Julius Berger. As I write, the key sentiment underlining the complaints against the tolling on the Lekki Expressway is that “most of the money will go to Tinubu’s pocket”. That’s the word on the street. Brokerage is not a bad thing on its own, but what we need to stress is a level playing field, rule of law, security of tenor and equity and fairness as much as possible, for all. If I really want to be mischievous, I’d focus on the recent deal in which Shell and Agip have had to pay in excess of one billion dollars to Dan Etete, a south-south man, for stakes in Oil Prospecting Lease OPL 245. And I would ask “Is that necessarily right”? Should the president, a south-south Ijaw man, have waded in to ask Shell and Agip to move the deal forward? But that’s a story for another day. In my book, people from everywhere have taken advantage of the unstructured way we have dispensed with oil and gas acreages. Naming names about which Northerner got what size of the pie is less useful than a focus on how government is insisting on open and transparent bidding, but more importantly, on Nigerian technical know how and management. You can’t hand over an acreage and walk away. You have to monitor what the holder is doing. How he is ensuring employment. If we can’t, with all the treasure, build five private E&P companies that have the internal competencies that Shell has and can go out and buy and operate assets the way that UBA and GTB and Ecobank venture into Ghana and The Gambia, then we have wasted all of the 56 years we have spent since the hoorah at Oloibiri. NOTE: This article was originally published in Premium Times.